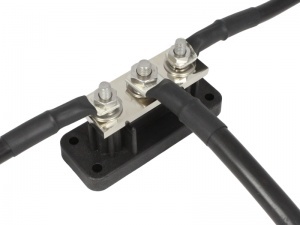 High amperage, heavy duty terminal busbar from VTE with a maximum current rating of 700A. 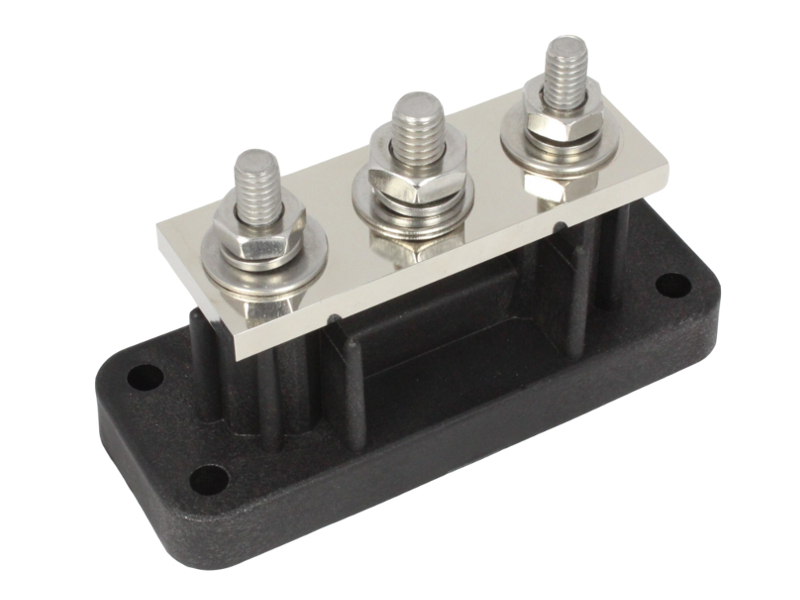 This busbar is suitable for joining heavy gauge cables and commoning negative connections of very high current circuits such as marine bow thrusters, heavy duty winches and similar equipment. Also recommended for use in agricultural and commercial applications. 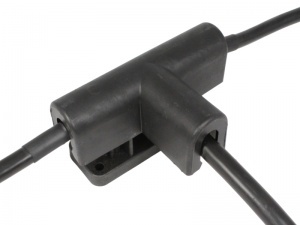 The terminal posts are 1 x 9.4mm dia. and 2 x 7.9mm dia. and the busbar body is secured via four mounting holes. 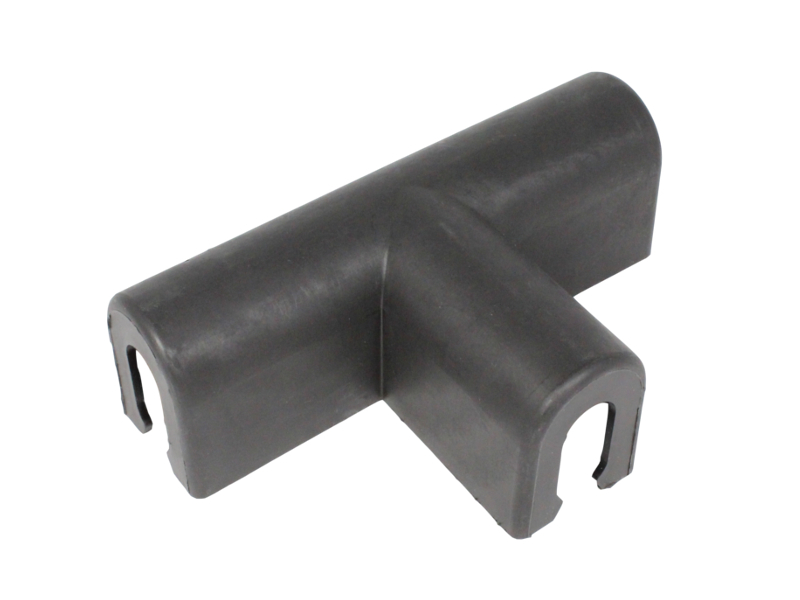 Corrosion-resistant fittings for use in marine and other harsh environments.